If you want to deck your home out with nautical items for a unique, seaside theme, you’ve still got to follow the basic rules of decorating. Here are a few tips to help. Before you go buying and hanging a ton of nautical decor, you’re going to want to make sure the room’s colors not only work well together, but are at least nautical. Many interior designers will use navy, white, and khaki as the dominant colors for nautical decor, and will use red, yellow, and black as secondary colors. Living rooms often suffer from uneven lighting, which can cause certain parts of it to feel distant and isolated. Instead, put a lamp near part of a dark room to make sure the whole space is well lit. There are tons of nautical decorations you can use as light sources, too. Try hanging some miner’s oil lamps, or installing some oceanic cage lights. Open Things Up With Mirrors. If a room feels small, cramped, and a touch claustrophobic, open it up with a mirror. There are tons of great mirror nautical decorations you can use to do this. Just be sure to make it a big mirror, as a small mirror on an empty wall can inadvertently make the wall look even more bare than it already did. 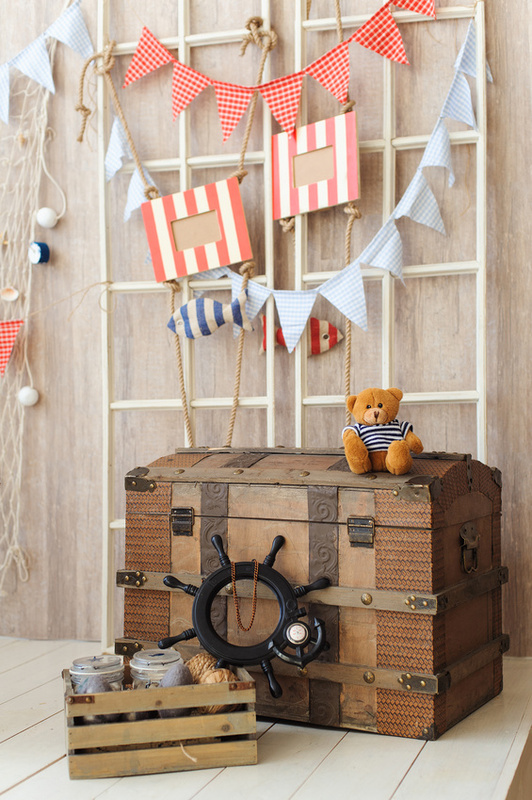 Even if you have a small budget, make sure there’s room in it to buy one, big piece of nautical decor as a focal point. Items like a diver’s helmet or an anchor make for great conversation pieces, and will tie the whole room together wonderfully. Without a focal point, the space won’t feel coordinated.